Welcome to my Music Diary – today for the 8th September! Originally, „Pennyroyal Tea“ is one of the oldest Nirvana songs. 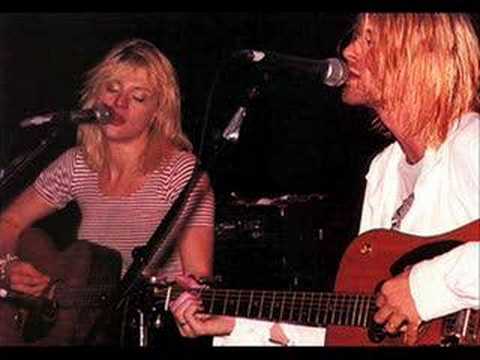 The first demo was recorded in Winter 1990 by Kurt Cobain and Dave Grohl. After that the recording was forgotten in the archives. During the sessions for „In Utero“ Cobain remembered the tune again and recorded it with his band. It became one of the best known Nirvana songs. Dieser Eintrag wurde veröffentlicht in Music Diary und verschlagwortet mit Aaron Burckhard, Adam Kasper, Alex Coletti, Alex Grey, Andy Wallace, Black Girl, Bob Ludwig, Bob Weston, Butch Vig, Chad Channing, Charles Peterson, Cortney Love, Craig Doubet, Cris Kirkwood, Curt Kirkwood, Dale Crover, Dan Peters, Dave Foster, Dave Grohl, David Bowie, David Robert JOnes, Frank Micelotta, Garbage, Grunge, Hole, Howie Weinberg, Huddie William Ledbetter, In the Pines, In Utero, Jason Everman, Jeff Sheehan, Karen Mason, Kera Schaley, Kirk Canning, Kirk Weddle, Krist Novoselic, Kurt Cobain, Lead Belly, Lori Goldston, Mark Pickerel, Melora Creager, Michael Lavine, MTV Unplugged In New York, Neil Wallace, Nevermind, Nirvana, Pat Smear, Pennyroyal Tea, Robert Fisher, Scott Litt, Spencer Elden, Stephen Marcussen, Steve Albini, The Meat Puppets, The Vaselines, Where did you sleep last Night, With The Lights Out von Good Things. Permanentlink.